Take your restaurant cleaning up a notch with the Procter & Gamble 82027 Mr. Clean Magic Eraser Original! Perfect for cleaning walls, baseboards, floors, switch plates, blinds, bathrooms, counters (you name it!) 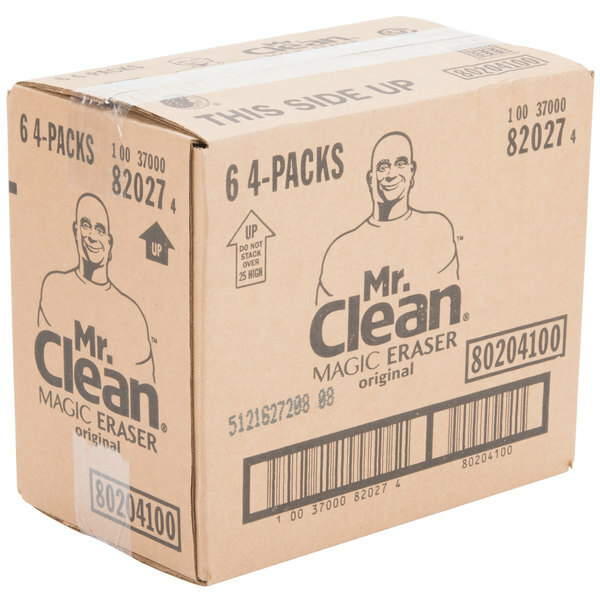 the Mr. Clean Magic Eraser is a truly magical cleaning product. Simply wet the eraser, and swipe it against any surface. The marks, scuffs, and gross gunk will wipe right off! "A true lifesaver for eliminating time with scrubbing down hardened stains and other dirty spots on counters or any kitchen surface. Great for wiping sink rims too. A little water and minimal motion will remove dirt and stains very easily." Its water-activated micro-scrubbers reach into the surface grooves, lifting away built-up grease and soap scum. Plus, it can be used both indoors and outdoors. 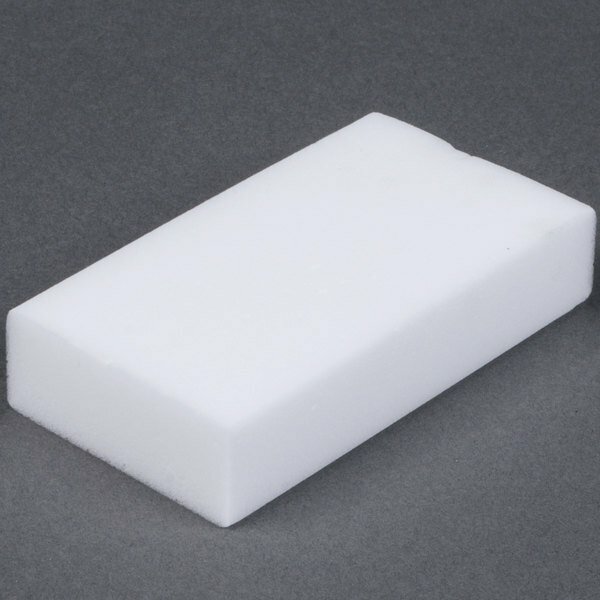 Whether on seats, counter, doors, or walls, this eraser will work on nearly any surface in order to make your facility look sparkling clean! 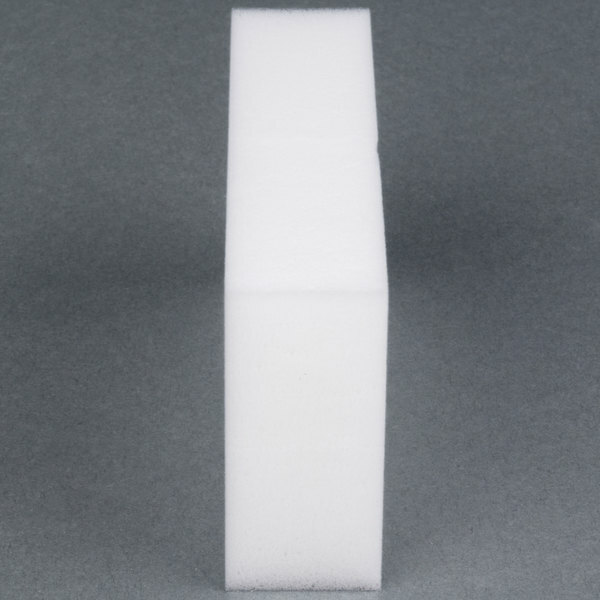 By using only water, the eraser doesn't require harsh chemicals that are dangerous to handle or unsafe in food preparation areas. The Procter & Gamble 82027 Mr. Clean Magic Eraser Original removes more grime than the leading all-purpose spray cleaner. This is my go to product for marks and stains that will not come off with other products. It isn’t very convenient and does not need any liquid to activate. It removes dirt and grim off walls with very little effort, it is a must have for any home, hotel and restaurant. 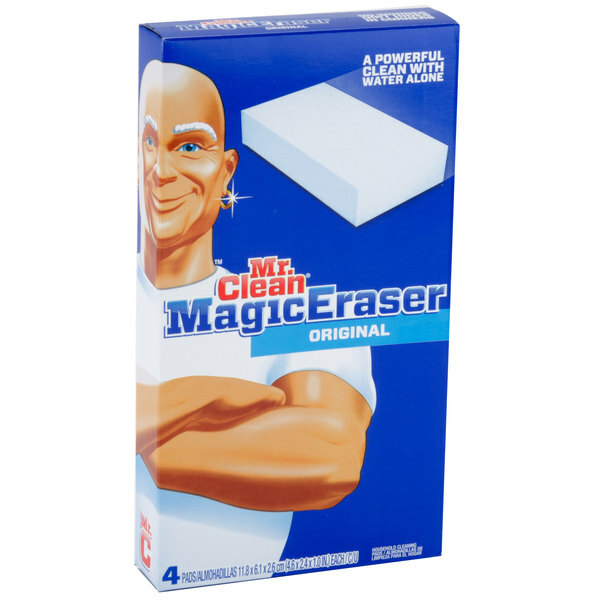 Love the Mr. Clean magic eraser because it removes stains from areas I have been trying to get rid for years. Super awesome product and love the quality. and the fact you can cut the size you need. These are great at cleaning things that make you go, "Now how am I going to clean THAT?" i use them for marks on walls, baseboards, light switch plates, and my bathtub. Mr. Clean magic eraser is really a magical cleaning product. It works great on tough scuff marks, stains, and virtually anything you try it on. A case of 24 at this price is awesome for a product that really does what it claims! I have to say that magic erasers work so well that it took the finish off of my car. I had some old paint that adhered to my car that I could never get off, however, after a few swipes it came right off with the finish. After waxing, it finally restored but I can honestly say that this will bring white counter tops much cleaner and is worth a try. Just be sure to use extra caution depending on the use. These things work so well, been using them for nearly 20 years (when they first came out) I love em, they get rid off accidental crayon and marker marks on walls and black skidmarks on tile flooring. My friend told me about the wonders of mr clean magic eraser! i was so excited to see you carry it1 it really is amazing it got off all the scuffs from my fridge! I absolutely love this product! This Procter and gamble mr. clean magic eraser original works great! 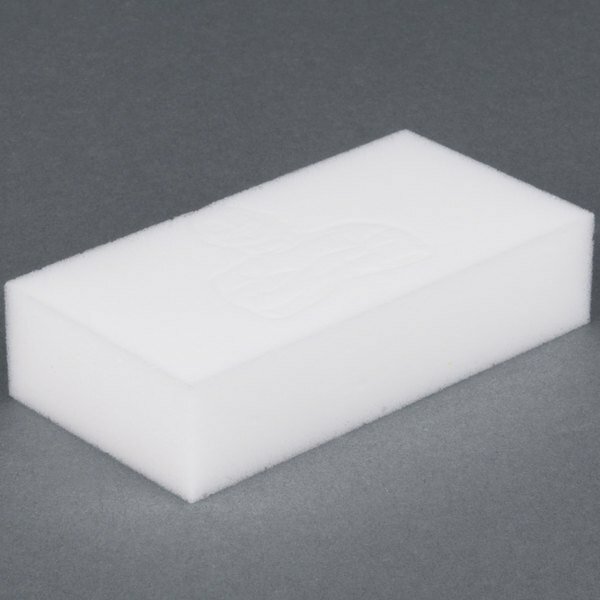 The eraser is great for hard spots I love to use for bathrooms and even walls. 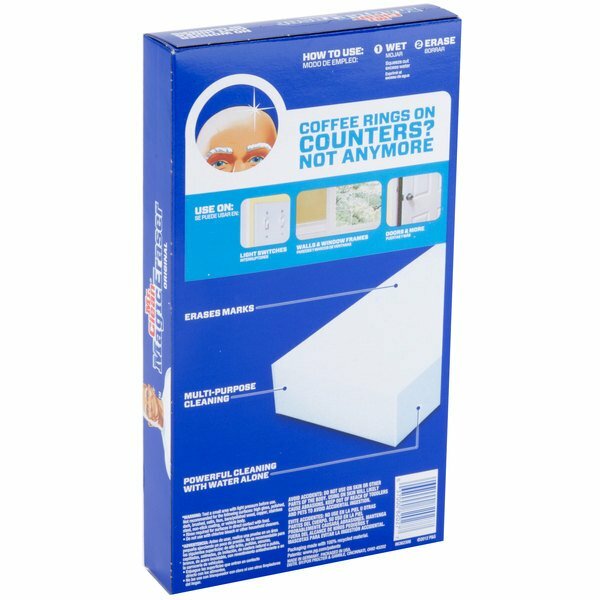 Everyone has used these so you know they are excellent for the walls of your restaurant for scuffs, nicks and food splatter. Don't rub too hard though! These Mr. Clean magic erasers work great at removing stains from countertops, walls and baseboards. Cleaner is already in the sponge so you simply add water to activate it. Great product for everyday cleaning. Mr. Clean magic erasers really are magical. They clean hard stains and get the tough dirt. They're a great product and this is a great price! This is used for stained walls. It is also useful for in the bathroom. I use it when I want to remove stains but not paint. 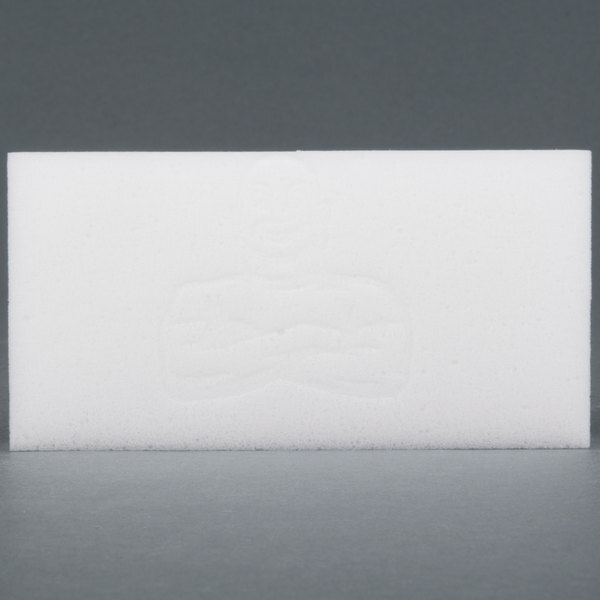 We absolutely love the Mr. Clean magic erasers! We use them on a daily basis for daily cleaning around the store, it gets the counters to their natural glow everytime. A true lifesaver for eliminating time with scrubbing down hardened stains and other dirty spots on counters or any kitchen surface. Great for wiping sink rims too. A little water and minimal motion will remove dirt and stains very easily. These are amazing for cleaning any built-up gunk on stovetops, bathroom fixtures, walls, floors, etc. I use them for scrubbing the bathtub sometimes as well. the MR. clean magic eraser is a great product. works well, cleaning top surfaces . even bathtubs. I can honestly say what a great eraser. thank Webstaurant. I never thought that something like this would work, but I bought one to get rid of some marks on my walls and these things work great. They are so easy to use and so much easier to use this than to scrub or paint over some marks again! When these first came out on the market I thought that there was no way these could do what they say they can. To my surprise they can and more. I use them for cleaning my dining room chairs primarily but there great for just about anything. Also you cant beat Webstaurants price. I had never used the magic erasers before, but after hearing many positive comments, and just happening upon these while browsing the Webstraunt site, decided to purchase due to the low cost and mostly out of curiosity. I am amazed by how these work and how they "magic-ly" make scratches and small marks disappear. I anticipate using these more in the future now that i have them in my arsenal of cleaning supplies. I love how the Magic Erasers clean. I did not know webstaurant carried this product. The price is so much cheaper than the store. We go through a lot of these, cleaning spots off walls and the floor around the chairs. perfect. Mr. Clean Magic Eraser's are the best. They clean marker off the wall and food off of surfaces (including pasta sauce.) It's a great thing to have in a kitchen or house of kids. I love Mr. Clean Magic Erasers. I was surprised that they work so well on so many surfaces. I use them on floors, walls and counter tops. The best cleaning product that I have ever used in my entire life! The magic eraser cuts through grease and grime like it is no tomorrow! Buy this or you will be making a mistake. These are great!! Works nicely for getting small scuffs off of tile counters! Nice for scrubbing walls too! Great cleaning tool for home use as well!! I honestly live by these magic erasers. I use them on everything, from sneakers to toilet bowels. They clean everything with pretty much no effort! I recommend that everyone should have at least one magic eraser in their house at all times. Oh my goodness are these things great! They easily clean stained coffee mugs and china. Great for home use too! Ive never seen such a low price on these either. If you have used the Mr. Clean magic Eraser you know how well they remvoe dirt and scuff marks from walls and the price is right. Save Up To $12.91 with our Recommended Product! Is your restaurant or business in need of a good scrubbing? 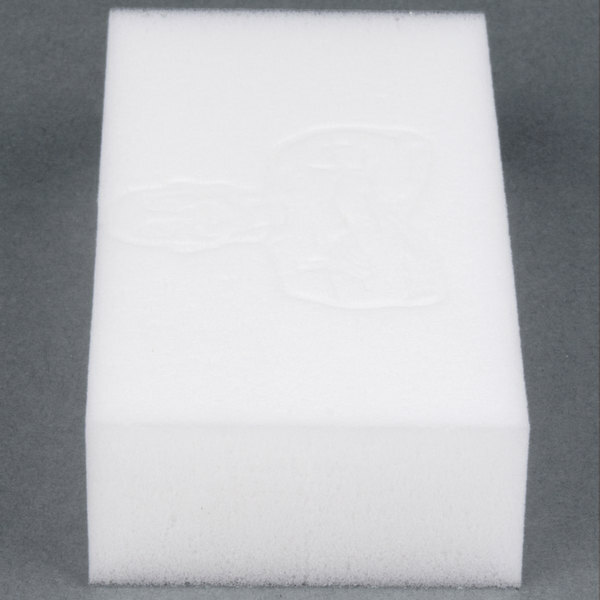 Try out this individually wrapped melamine foam wipe out eraser sponge instead! 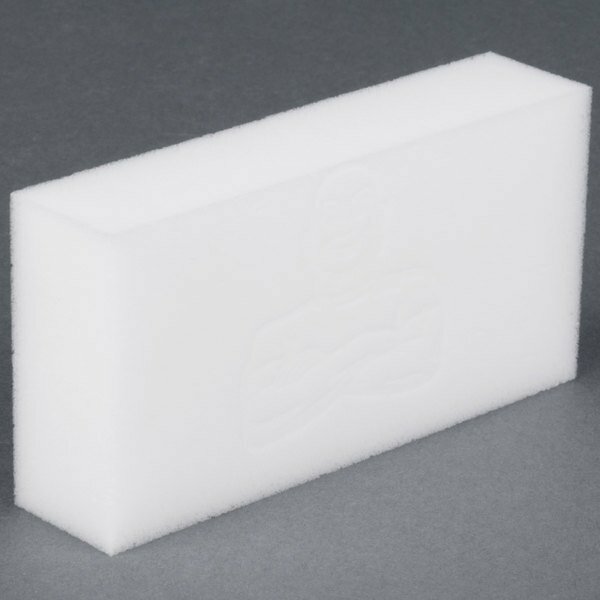 Similar to the Mr. Clean Magic Eraser, this sponge eliminates tough grease, dirt, and soap scum from a variety of surfaces including walls, floors, doors, kitchen appliances, and tile! Its water-activated micro-scrubbers reach deep into surfaces and grooves and require no harmful chemicals to get the job done. 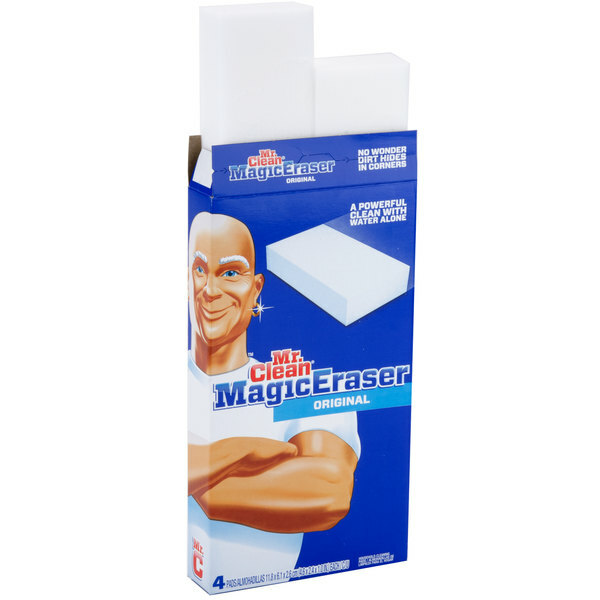 Get all the cleaning power of the comparable Mr. Clean Magic Eraser at a price that can’t be beat!